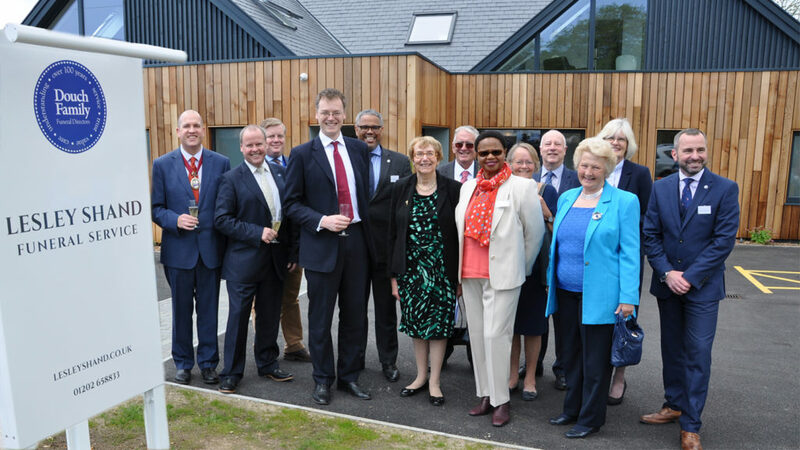 The brand new funeral service facility in Corfe Mullen that is part of Dorset’s Douch Family Funeral Directors group has been opened by the MP. Michael Tomlinson made a speech and uncovered the plaque at the Lesley Shand business in front of dozens of guests. 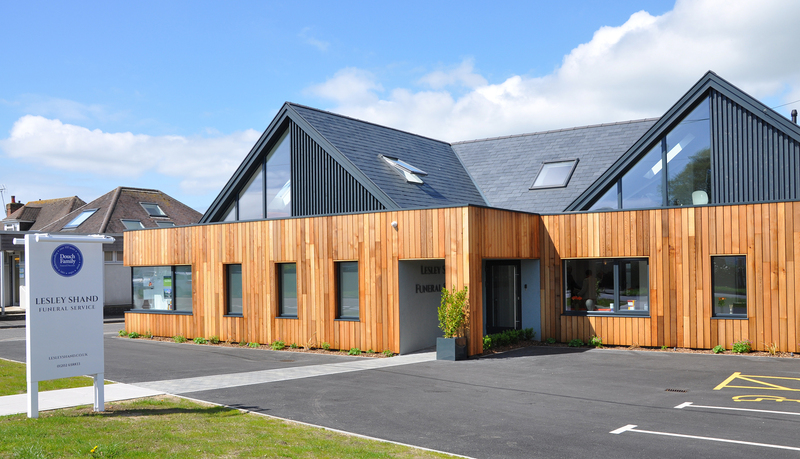 The previous building was demolished and the new one built from scratch to create a modern, state-of-the-art centre. It includes a Service Chapel where families can hold funeral services and has modern audio-visual technology. 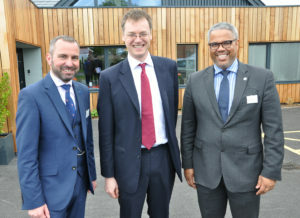 Jeremy Field, immediate past president of the National Association of Funeral Directors, praised the Douch family for its investment to create such a community asset. The funeral group, which works out of eight locations in the county, bought the Corfe Mullen business in 2001 and at the opening Lesley Shand herself was present. 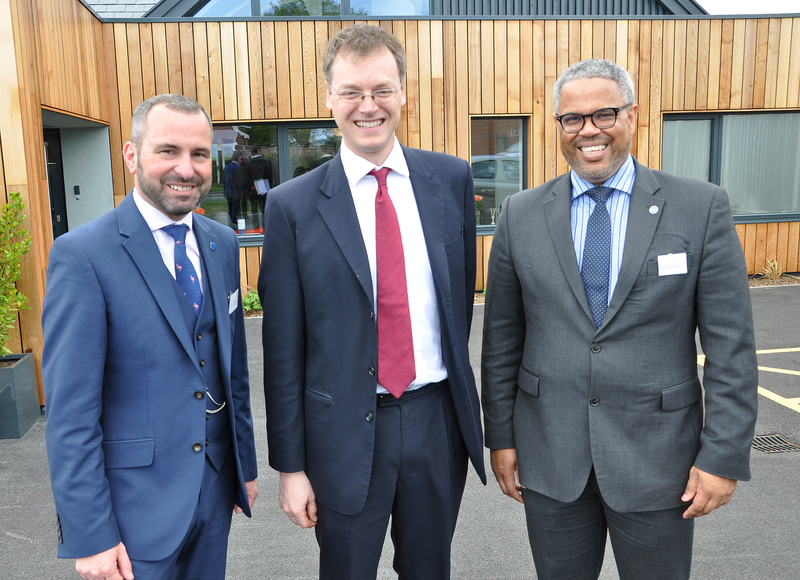 Shane Watson, branch manager, Michael Tomlinson MP, and Nick Douch, managing director. Mr Tomlinson, who has previously nominated the branch for the All Party Corporate Responsibility Group’s ‘Responsible Business Champion’ title, was full of praise. The MP for Mid Dorset and north Poole said: “Corfe Mullen is in the middle of the constituency I represent, and Lesley Shand is a business right at the heart of this community. “It is a business that takes its social and community responsibilities seriously. Nick Douch, managing director of the group, said: “We were intending to open the building in March – but snow prevented it happening. “So I was grateful to everyone for rearranging their dairies to be with us on the new date.